A fast setting wall and floor tile adhesive. 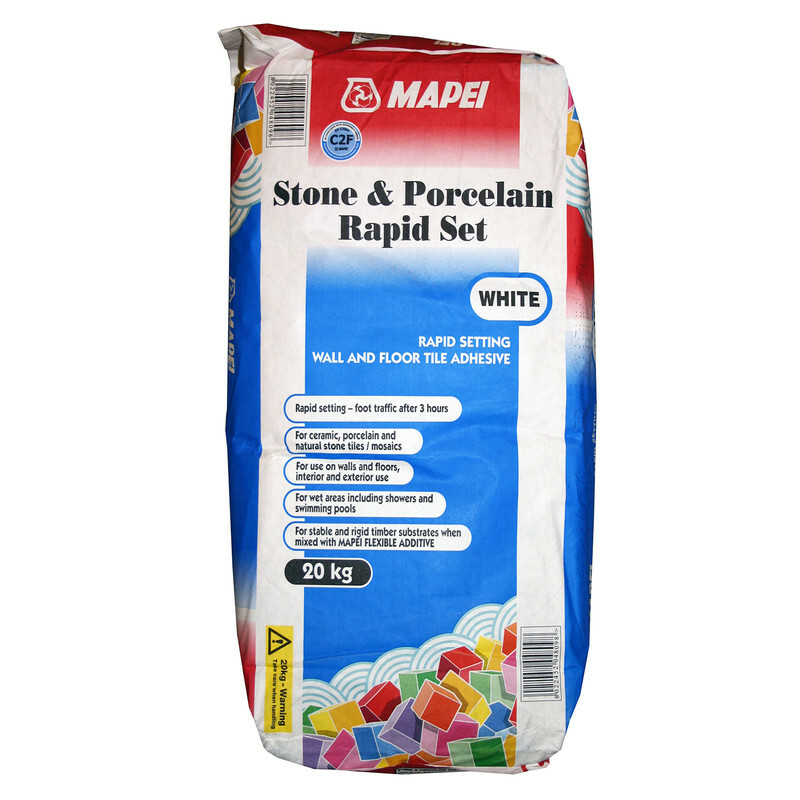 Suitable for natural stone, ceramic, porcelain and mosaic tiles. High initial grab, with a pot life of 20-25 mins. For interior and exterior use.